My love affair with Jasper Fforde and the Thursday Next series continues with this latest book. The inventiveness of Fforde knows no bounds! In this latest installment, while it is still technically a Thursday Next book, the original character does not appear in it except for a few paragraphs. How can this be? In the past books, there had been increasingly more ‘Thursdays’ coming into existence due to Thursday’s adventures being fictionalised. The real Thursday is able to visit and train these new character actors into being authentic Thursdays because she has the ability to ‘book jump’ and immerse herself into any book. When this latest installment begins, we soon discover, after a few furious head scratching and befuzzlement, that we aren’t reading about the original Thursday Next but the latest actress who is playing her within the book. A story set within a story. It’s incredibly fun to read the going-ons within the actual book and how the various characters contend with plots. The actors can also sense what part of the story the reader is reading. As Thursday goes about investigating what seems to be a straightforward case, matters take a turn when Commander Bradshaw, once the real Thursday’s director at Special Operatives, reveals that the real Thursday has disappeared and has not been seen since her book jump almost a month ago. As a highly respected figure in the Book World, Thursday was supposed to chair the upcoming peace talks about the genre war. As the next best thing to the real Thursday, Bradshaw enlists the book Thursday to find our what had happened to the real Thursday Next. The authorities who run Book World from Text Grand Central, the Council of Genres, also desire to track down Thursday but they are also ready to substitute the fictional Thursday for the real Thursday which would also be quite beneficial politically because the imposter would hold her tongue. Not only does Fforde does terrific in-jokes, he also manages to satirise current affairs that is not in your face. If you get it, great, but if not, the book is just as enjoyable. Above all, I think Fforde’s love of reading and books is always lovingly conveyed in his writing. Characters will disappear forever if they are not continued to be read and many great books are patiently waiting to be reopened once more. Jasper Fforde always makes me giddy and jump a little for joy whenever he releases a new book. I’m almost always guaranteed a mind-bending read bursting with creativity and tongue-in-cheek fun. 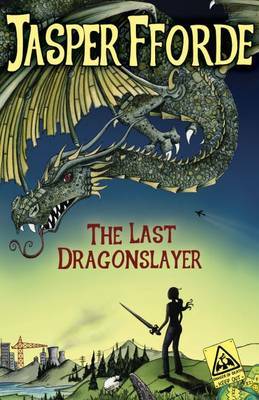 The Last Dragonslayer, while marketed towards the YA market, does not read like a YA novel. It retains all of the typical Fforde (Ffordian?) elements. Life changes dramatically for the precocious Jennifer when several soothsayers predict the death of the last dragon in Britain sending the country into a scramble. Several hundred years ago, in a treaty to maintain peace between the dragons and humans, the dragons were given their own land with the agreement that they must not harm the humans and, in return, humans must not harass the dragons. So for centuries, the dragons (and here Fforde is at one of his satirical best) have been sitting on prime real estate in Britain. When each dragon dies, the magic of the land that protects the boundaries and treaty dies with it and so the land is prime for those looking to mark out their own piece of the country. I loved this book and it’s really on par with The Eyre Affair. It’s witty, funny, another great heroine and, I don’t know how he does it, Fforde makes another ridiculous pet so endearing (first the Dodo ‘plock plock’ and now the Quarkbeast ‘quark’). Old magic, wizards, bureaucracy and red tape, nature, capitalism and commercialism and the old fashioned fights between good and evil, David and Goliath – it’s all here. I can’t wait for the next installment in this trilogy. Set in an alternative reality fourteen years after the last book (Something Rotten), the narrative picks up once again on the series’ protagonist Thursday Next. Now a mother of three, with a son named Friday, and two daughters, Tuesday and Jenny, married to her long time love, Landen, and ‘retired’ from her previously dangerous life as a star Jurisfiction officer. In actual fact, Thursday is still continuing to work as a Jurisfiction officer under the cover of a humble carpet-fitter while smuggling in illegal cheese and selling it on the black market in her spare time. Having the ability to book jump, a rare thing in Outlanders, Thursday has to deal with training two new operatives, Thursday-5 and Thursday 1-4, her fictional clones, continue working to ensure that narratives are running as smoothly as possible, address the steady decline in readership numbers and work to prevent Pride and Prejudice being turned into a vote-them-off reality book, not dissimilar to Big Brother style, to boost readership figures. 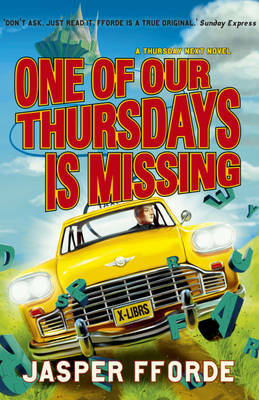 The fifth book in Fforde’s Thursday Next series this is the most marvellous read and welcomed addition to the series. 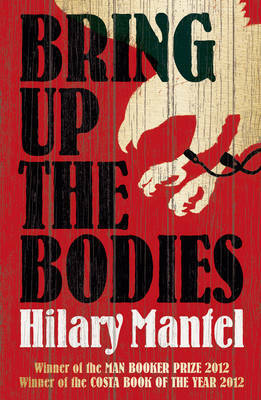 It is tightly written and meticulously plotted with absolution coming in the unconventional ways. The characters are so unique and imaginative – my particular favourites are Pickwick, a dodo, Millon, Thursday’s personal stalker (yes! ), and deadly Mrs. Danvers clones who have accumulated to epidemic proportions due to the decline for the need of creepy housekeepers. I highly recommend this book, and series, particularly to fellow bibliophiles. The amount of imagination that Fforde uses to explain the book universe is fascinating and highly entertaining. His wordplay and tongue-in-cheek humour will also make you snicker out loud. The only downside of this book and series is that it makes me wish I had an opportunity to join Jurisfiction myself.